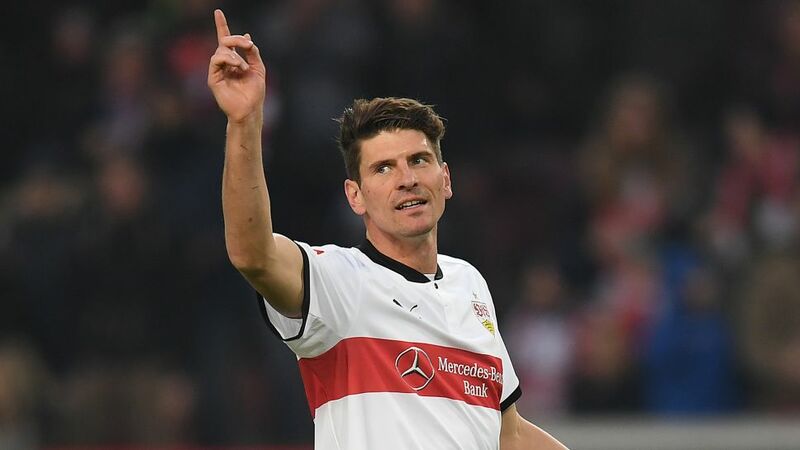 With his team now in danger of being sucked into a relegation battle, Stuttgart striker Mario Gomez has called on them to fight for every point. Gomez returned to Stuttgart over the winter break to help ensure the newly promoted club would extend their stay in the Bundesliga for at least another season. The 32-year-old was powerless to prevent the home side slipping to a 2-0 defeat against high-flying Schalke on Saturday, however, a result that leaves Stuttgart only three points above the relegation play-off place. It also led to the club parting ways with manager Hannes Wolf, but Gomez still saw promising signs in Stuttgart’s display. “In the second half you saw that we could stay in the Bundesliga if we implement things the way we actually planned them,” Gomez said after the game. A sixth defeat in seven league matches meant the end for Wolf, who had guided the Swabians back to the top flight for this season as Bundesliga 2 champions. Alarm bells are clearly ringing at the club, but in Gomez they have a man who knows how to beat the drop. The Germany striker’s 16 goals earned Wolfsburg a stay of execution last season, and he then made sure the Wolves stayed up by scoring in a relegation play-off victory over local rivals Eintracht Braunschweig. “I think that because I already experienced it last year, I have a head start over a lot of people here,” Gomez said of Stuttgart’s situation. “A relegation battle is about snapping up every point – every point is important. Reality and the evaluation are a little bit far from each other here. We are a relegation candidate and everyone must be aware of that. Not just the players, but everyone around them. Watch: Schalke goalscorer Naldo discusses his record-breaking game against Stuttgart. Gomez started his professional career with Stuttgart, scoring 63 goals in 121 games in his first spell and winning the Bundesliga title in 2006/07. The atmosphere around the club is a little different 11 years later but the former Bayern Munich forward has rejected the idea that the team’s mentality is a problem. Stuttgart won only 38 per cent of challenges in the first half against Schalke before a much-improved second-half showing, but Gomez says that the revival of bottom club Cologne shows that things can change swiftly. “The question about our attitude gets on my nerves,” he said. “Cologne’s players went through the first half of the season without any attitude, but the same players now have one again because they are winning matches. I don’t want to hear about or relate to the whole discussion any more. If we had no mental strength then we wouldn’t have had a successful second half against Schalke. The ex-Fiorentina and Besiktas player thinks it is pretty clear what Stuttgart must do if they are to avoid relegation. “We just have to keep the ball on the ground, fight and play for every point,” he said. “Attack is the best form of defence. That has to be our motto.